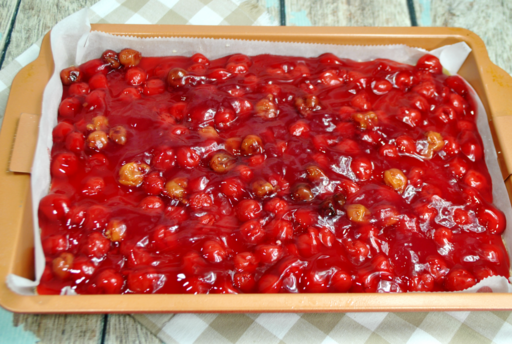 If you are looking for some good cherry recipes you have come to the right place. 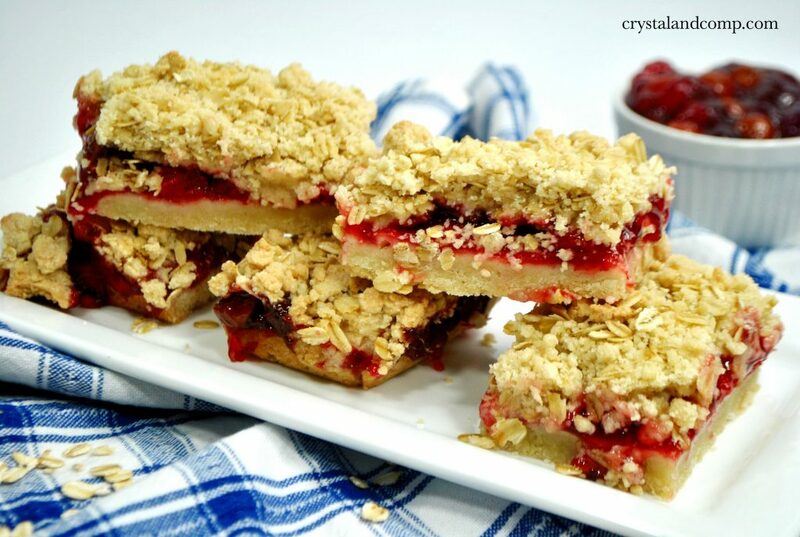 Let me show you just how easy it is to take a canned cherry pie filling and create these delicious crumb bars. They are the perfect sheet pan dessert that serves a crowd. I love the mixture of the gooey pie filling, the oatmeal, sugars and butter. It is a flavor that screams yummy! 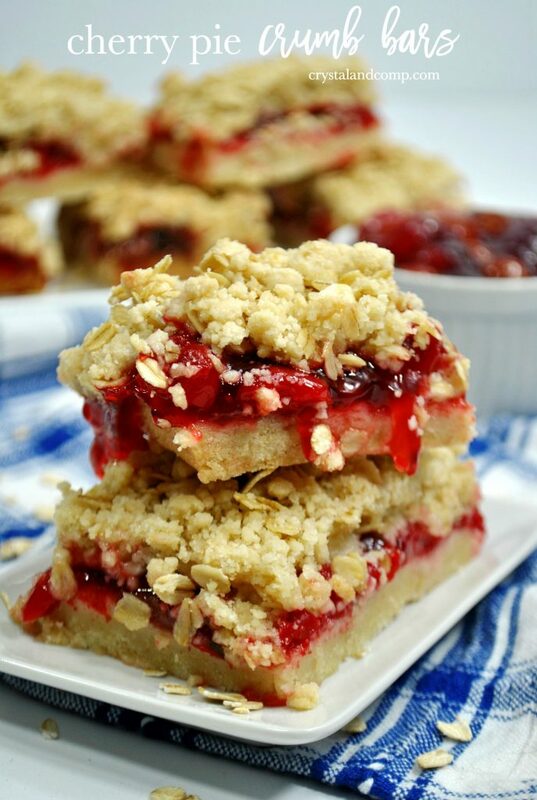 Crumb bar recipes like these are perfect for a crowd or a pot luck. You’re going to love them! Now, let’s assemble. This comes together very quickly. Another reason to love it! To make cleanup easy, I love to use parchment paper. 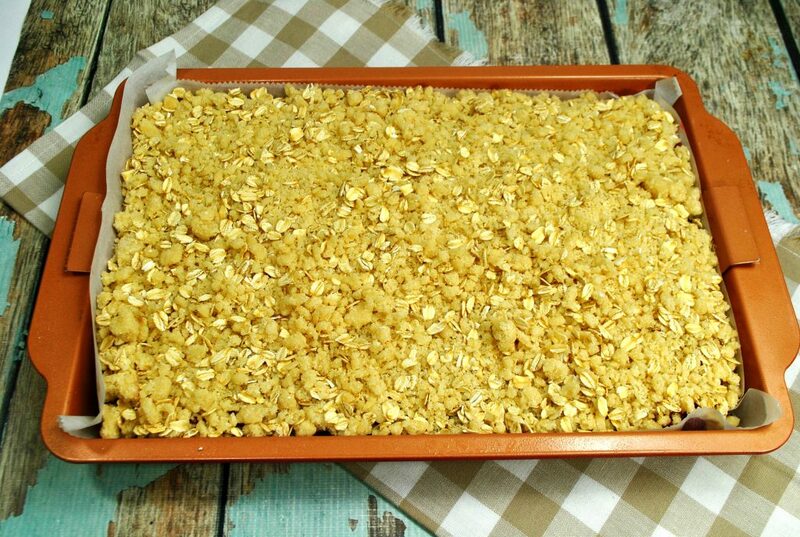 I suggest you line your 9×13 baking dish with parchment paper. Then set it aside. Grab a medium size mixing bowl. Mix together these dry ingredients: sugar, baking powder and flour. Now you want to cut in butter that has already softened (not melted- just room temperature soft). You can use a fork but I prefer to use a pastry blender. In small bowl whisk together the eggs, vanilla and almond extract. Slowly stir the egg and extract mixture into the dry ingredient mixture. Lightly combine it together. Pour half of the crumble mixture into the bottom of your pan that is covered in parchment paper. Press it down to make the bottom layer. Then, the crumb mixture that is left int he bowl, add the oats to that. Mix gently together. We are going to use that in just a second. Pour the cherry pie filling over the bottom layer of crumble. Top the cherry filling with that reserved layer of crumble that you added the oats to. Bake for 55-60 minutes or until lightly browned. Allow the bars to cool 100% before you start cutting into them. Once cool, cut into bars and share! These are perfect for a family gathering, church potluck, bake sale or just because. Look at how amazing they are! 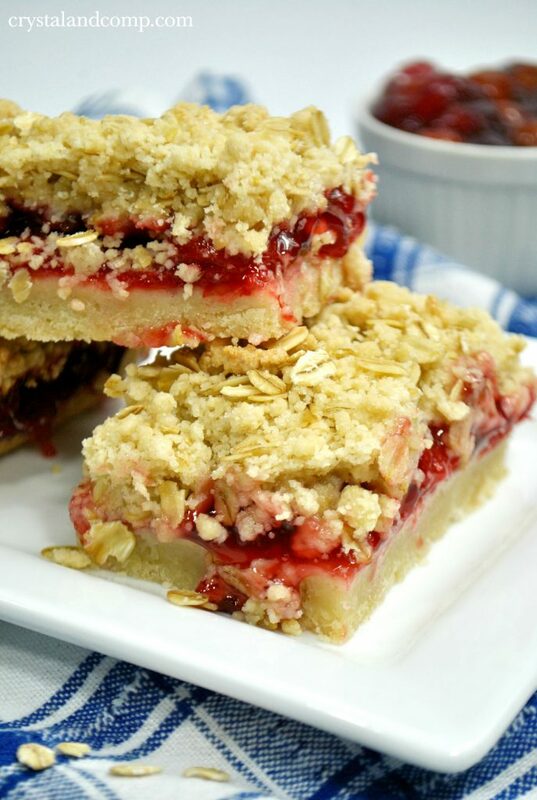 This delicious cherry pie crumb bar recipe is super easy to create and always a crowd pleaser! To make cleanup easy, I love to use parchment paper. I suggest you line your 9x13 baking dish with parchment paper. Then set it aside.